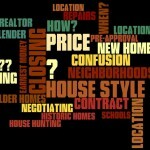 This article is one of a series on selling How to Sell Your Home . Click to the left or click on “Sellers” tab above for entire series. Prepping your your home for sale takes some thought, planning and work. The older Houston inner loop homes take even more care. Preparation of the house prior to putting it on the market is a critical point. 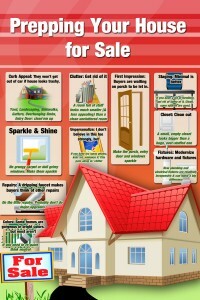 This is especially true if you are selling an older home. Selling your Houston Heights home or Woodland Heights home for instance, involves a little more work than would a recently built home. The same applies to other older homes, such as those in Houston’s Oak Forest, Garden Oaks, Lindale Park and Spring Branch neighborhoods. Feel & think like a buyer. Buyers feel more than they think when viewing a house. They obviously think about price, location, affordability, investment potential, etc., but this is before stepping into the home. When at the house, the right side of the brain takes over. They feel that the house is warm & inviting; they feel that the house is bright & cheerful; they feel your Heights home has lots of room; they feel the house has been well maintained. They either feel these things, or they don’t! So, you can try to explain how just removing the heavy drapes could lighten up the dark house; how the plants shading all the windows could be cut back to lighten it; how the buyers could easily fix that dripping faucet with just a washer; how the house smells like dog because you just haven’t had time to wash Fido lately. You can explain to them how a few hours work or a few hundred bucks will make a huge difference… WRONG! You won’t get that chance. 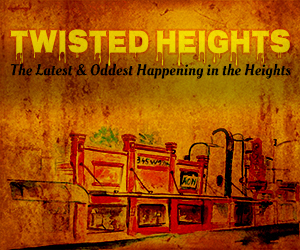 Buyers interested in buying that older Heights or Timbergrove Manor home don’t want work; they don’t want explanations. There should be nothing that needs an explanation. After all, which makes you feel better; a cute, clean, bright, sparkling house, ready to move into… or… a house with peeling paint, minor repairs, overcrowded rooms and dark spaces? Take care of maintenance items. Before you list your home for sale take care of all the minor fix up, repair, and maintenance items. 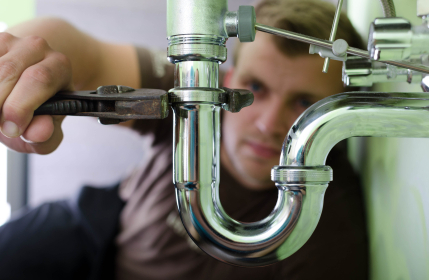 Potential buyers don’t want to see work, maintenance and headaches. They want to envision peace, relaxation, and enjoyment. So, no dripping or corroded faucets; no cracked windowpanes; no peeling paint. Should you update fixtures, etc.? Worn out items that can be easily replaced probably should be. Major updates? Probably not…ask your Realtor on specifics. Curb Appeal. This is tremendous. I have had people not get out of the car because they were turned off by appearances. Plants looking ragged? Dog trails? Weeds? Spend some money and time and make these look good. You have to at least get the potential buyers out of the car. The front porch is critical on older homes. It’s a second chance to make a good impression. While the Realtor is fumbling with the keys, are the potential buyers noting the smudged windows, cobwebs, peeling paint on the front door? It’s better if they are admiring how clean and sparkly things are and noting the newly painted front door. After all, people love those porches. Make them inviting too. Inside the house. A few favorite descriptive terms by realtors are: light and bright; open and airy; spacious rooms; lots of storage. The Realtor will not say; dark and dreary, cramped and full of stuff; but the photos will show it. A huge closet full of stuff will be seen as not having enough closet space. A smaller, near empty closet will be seen as spacious. Get rid of stuff! You know you are going to dump it when you move anyway. Do it now. So, that’s it. At each point of preparing your house for sale – look at it the through buyers’ eyes. Does it evoke a negative or positive emotion? Make it positive. Your next step in home selling is picking a Realtor. 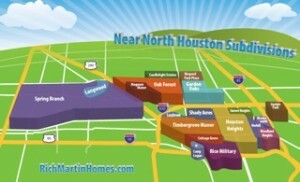 Rich Martin is a Houston Inner Loop Realtor. 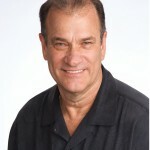 He specializes in the delightful homes in older neighborhoods.